Celebrate special occasions and create lasting memories with the people closest to you. The Hotel Oga Onsen Yuinoyado Bettei Tsubaki will remain forever in your memories. View the UNESCO World Heritage Site Shirakami-Sanchi right from your room lovingly created with materials all originating from the Akita region. Indulge in the seasonal gourmet pleasures of the mountains and seas of the Oga Peninsula, and after enjoying your meal, take a moment to bathe in the free-flowing waters of the Oga Onsen hot spring. Join us in Akita’s inner reaches and experience a once in a lifetime moment at this beautiful hotel with a full view of the rising sun over the Sea of Japan. The Japanese drum we went to see after eating was good. I took the best room and made it to the top floor room but I wish the rooms with outdoor baths could be made as it was far from the bath. I thought that people with bad physical condition can not bring them. If you order meals separately, it will be briskly to the elevator, but as soon as you arrive at check-in time, you will be filled with the first reservation. The meaning of the poster ... Smoking room is a stairway landing area (no partition) Hospitality ... There is a tendency in the countryside ... I saw a long drink that the vending machine drinks were really high. Beer 500 cans 500 yen. 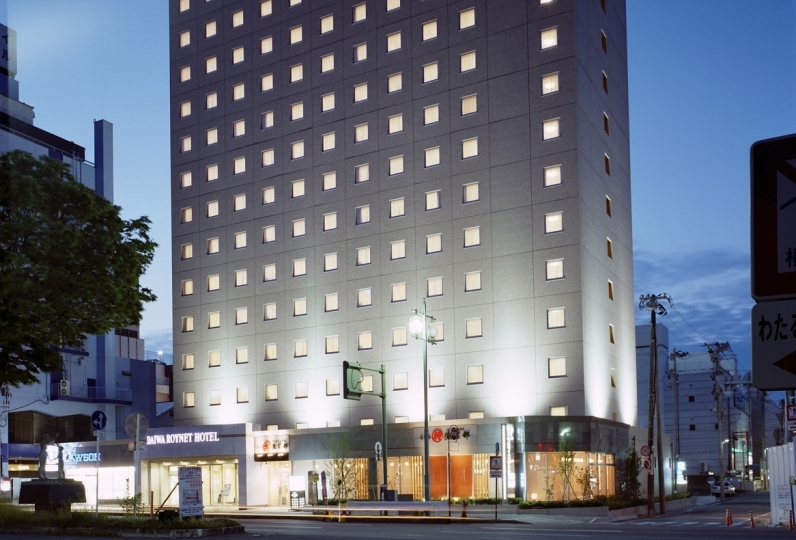 There is not much amiability on the whole as a whole, not just the hotel. It does not feel bad though. Land handle? Cleaning was perfect for every corner and I was able to spend pleasantly. The worry of the elderly who arranged meals at dinner was wonderful and the food was very delicious. The greeting of the lively women at the reception and the wait-and-see was impressive. Namahage Museum of Night was also a good memory. Watch as the chef prepares your meal right before your eyes using fresh seafood caught from the waters near Oga. Enjoy a lively gourmet experience of local Oga dishes. Our facility is the first in the Oga Onsen village to draw hot spring water from two sources. The warm hot spring waters have a moisturizing effect and will warm you right to the core. 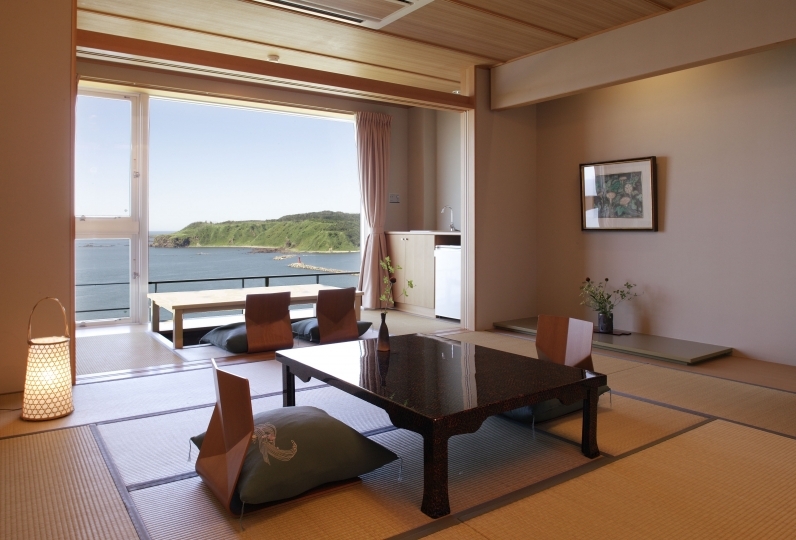 In Nishiki-no-Yu, the men’s bath, enjoy the cool morning breeze while gazing upon the far off ocean in the outdoor bath. In Miyabi-no-Yu, the women’s bath, take in the sights of the seasonal wildflowers while enjoying the warm hot spring waters. The fully stocked powder corner also provides the much needed opportunity to refresh your skin. On April 1, 2018, both the men’s and women’s bathing facilities were renovated allowing for a completely different bathing experience. Enjoy a relaxing moment and exchange stories with other guests in this lounge overlooking the oceans surrounding Oga. ・Please inform us if you will be checking in past 18:00. During high occupancy seasons meal times may be divided into different time groups to accommodate more guests. This applies to breakfast as well. ・Akita Airport ～ Limousine Bus bound for Akita Station（about 50 minutes total）. ・ＪＲ Akita Station ～ transfer to the Oga Line and disembark at Hadachi Station. Take bus from Hadachi Station (50 minutes) or take a taxi (30 minutes). ・Pickup and drop-off services are available for those going to Oga Station (requires reservation 3 days in advance).